Organising the party, function, and other meeting a temporary shelter is necessary for better sitting arrangement of the coming guest and host. Indian Tent is one of such type of the service provider to the customer with very comfortable price. Indian Tents offer all type, design and colour of the tents for our valuable customer with more affordable price. 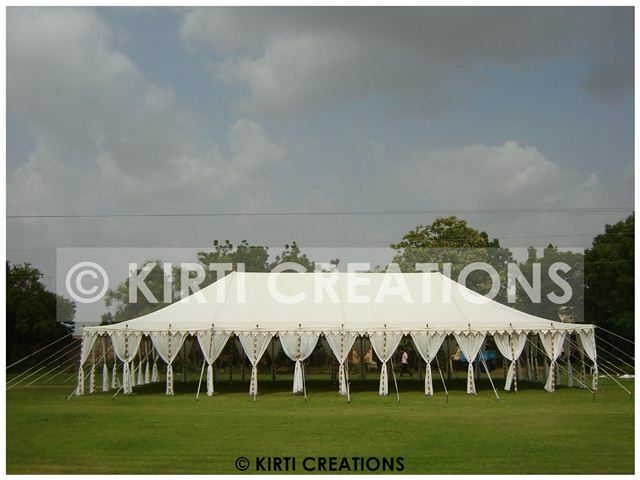 Canvas Raj Tent: - Canvas Raj Tent is one of the variety of the Indian Raj Tents. Pure milky white colour of this tent give nice look as well as odd weather comfortability inside it. It is pure waterproof tent, and in hot summer it give you comfort inside because it reflect all the hot sun light. This Handmade Tent is reputed as a long tent that accommodates the large number of guests and host that is more captious having persistence nature. Beautiful and attractive look of the canopy. Best quality of the canvas is used. Pure waterproof tent and comfort in all weather. Interior and exterior colour combination are superb. Indian Tent is one of the best tent for all type of party temporary shelter, which has nice decoration and good look as well as luxurious and more comfortable inside the tent. We always try to design some better look and enhance the quality of the canvas for our valuable customer. 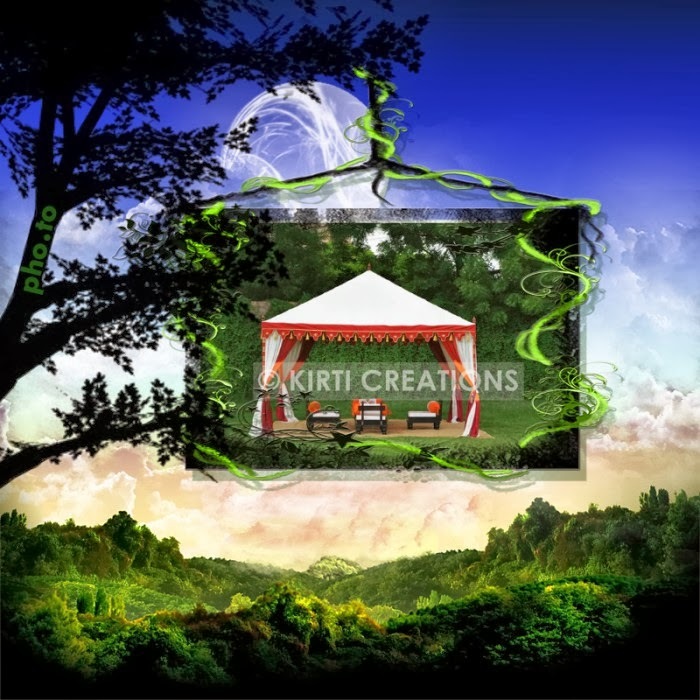 Hire Indian TentSuppliers for memorised your party celebration.